This post is a quick guide on how to deploy WSO2 API Manager 1.3.1 in an AWS EC2 instance and running operations on it. You can also run API Manager behind an Elastic Load Balancer (ELB) in EC2 instance. The configuration procedure is same as described below, except the public DNS address to be used is the DNS of the ELB in that case. 1. If you still don't have an AWS account create one as given here. In the account creation process you will need to specify a password and you will be given a Access Key ID and a Secret Access Key which will be needed later for you to connect to your AWS EC2 instance. 2. Using your credentials log in to AWS Management Console and open Amazon EC2 console. 3. Create a new Linux instance by selecting "Launch Instance". Create your new instance by following the steps given in this guide. 4. 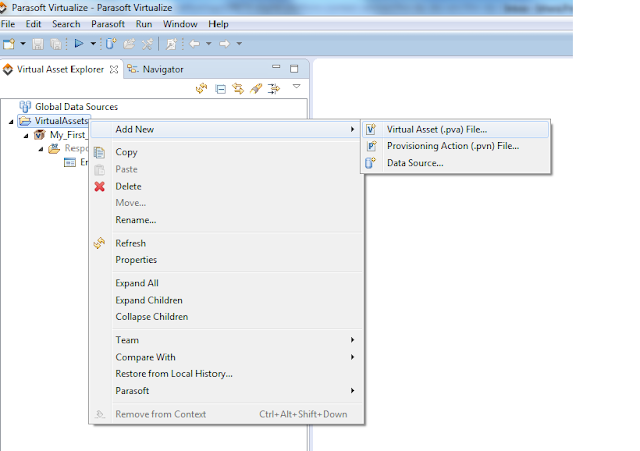 Once you finish creating an instance you can see it in the running instances list in the console. if you click on it you will see more information about the new instance. 4. Now let's connect to this instance and deploy our Am 1.3.1 pack here. Goto the location where you key-pair is located. Now we are going to connect to our Ubuntu server instance in EC2 using SSH. Find the Public DNS address of your instance. In my case this is 'ec2-00-000-000-00.compute-1.amazonaws.com' (Note that i have changed the digits in my EC2 instance DNS here). Enter the following command in the terminal. In here 'isarap.pem' is the keypair file that was downloaded when creating the EC2 instance. ec2-00-000-000-000.compute-1.amazonaws.com is the public DNS address of your instance. After that when you try to SSH you will be able to successfully connect to your instance in AWS EC2.You will now see the following message which means you are now connected. 5. As now you are logged into ubuntu instance, consider this as a normal scenario where you work on your local computer. Make a new directory in EC2 instance as apim/ and copy API Manager 1.3.1.zip pack into this EC2 instance. This will be copying Am 1.3.1 distribution files into the apim/ directory in EC2 instance. Similarly copy JDK 1.6 pack as you needs it to run the API Manager in EC2. 6. Unzip both distributions now. If 'zip' is not installed you will first need to install it. Edit the .bashrc in /home/ubuntu directory and add the path to your JDK ad JAVA_HOME in it. 7. Unzip the API Manager 1.3.1 pack too. In order to start the API Manager server in an outside location we need to configure carbon.xml and api-manager.xml files in AM_HOME/repository/conf directory . The following guide explains how to do this in detail. In addition find the following entries in api-manager.xml and specify the values given below. In that case remove the above lines from .bashrc file and manually enter the 'EC2 instance public DNS url' into the places described in the configuration.